The Kepler’s Third Law T2 α r3 is only applicable to masses in circular orbit, whereby the gravitational force is the only force acting on it and thus it acts as the centripetal force. 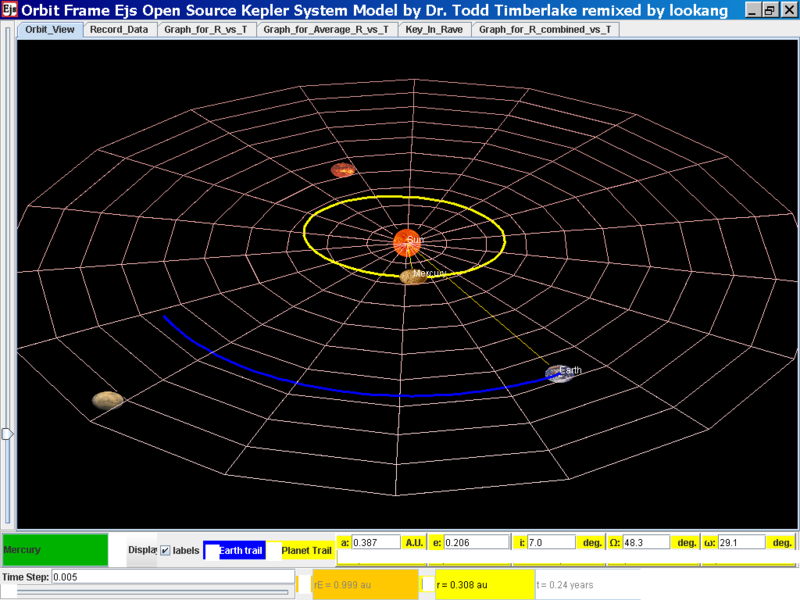 Complete ICT inquiry worksheet 2 to build your conceptual understanding on Kepler’s Third Law. 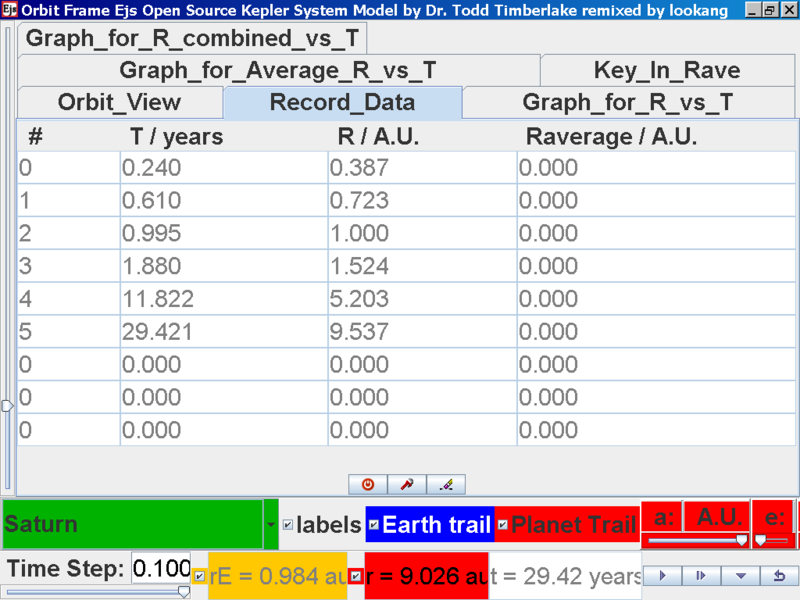 Select from the drop-down menu the planet, say Mercury to show the orbital radius and click play. Click Pause to stop the simulation when the planet Mercury is almost at the time of 1 complete cycle or period T.
Click on the adjacent tab Record_Data and select Record Data button to store this data on the mean radius Rm and period (time for one complete cycle) T of motion. 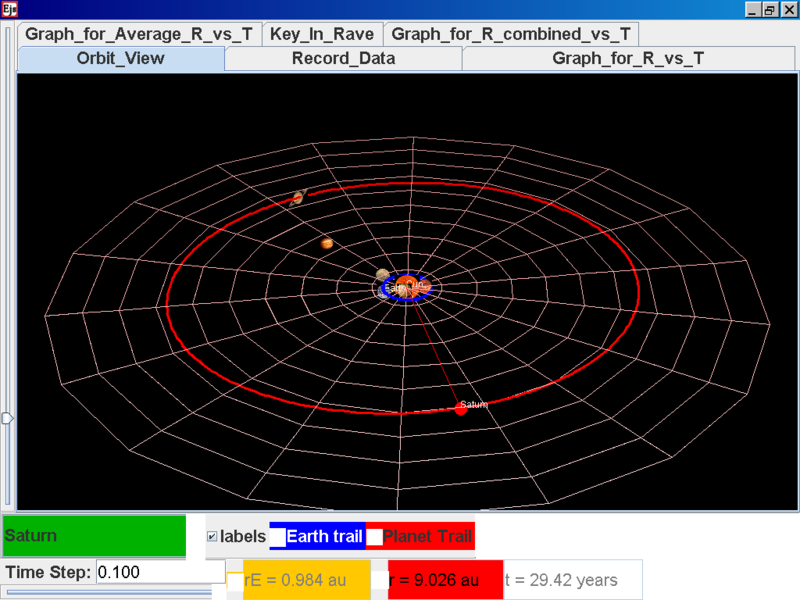 Click back to the Orbit_View and to go to the next planet to collect data, select from the drop down menu again and select the next planet say Venus. 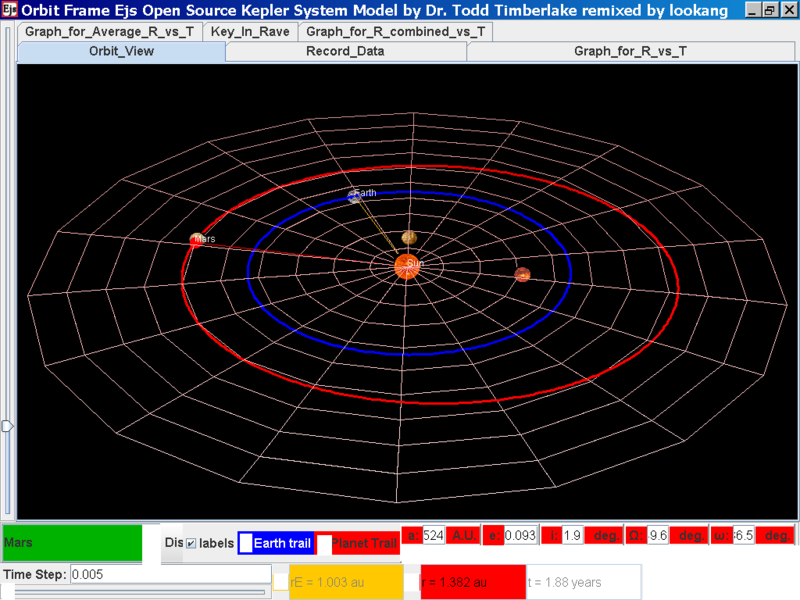 Play the simulation for one complete cycle. Click again on the next tab Record_Data and select Record_Data. Notice all the data on the actual T /years recorded by you are slightly different compared to the mean radius of orbits R has units of A.U. 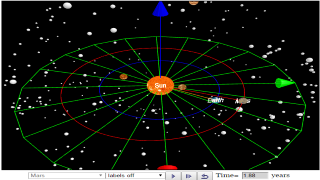 (astronomical units) where by 1 A.U. = mean distance of Earth to Sun. 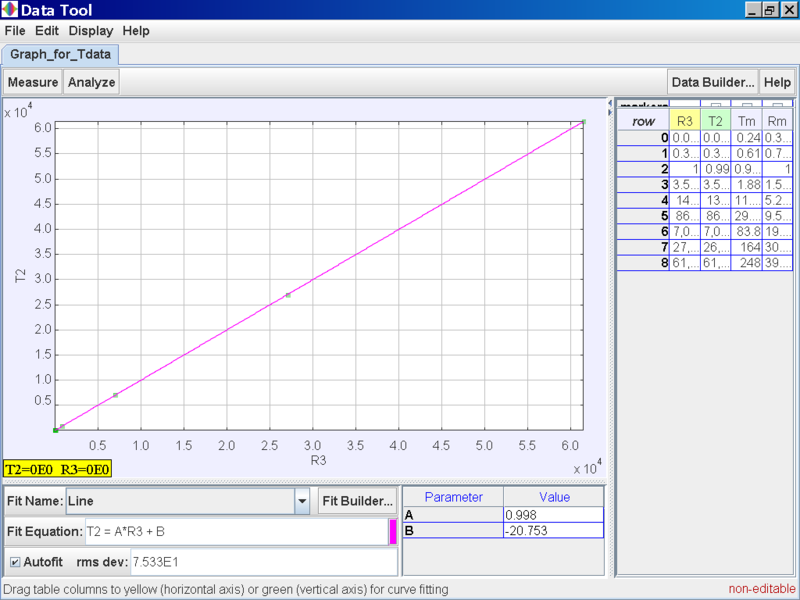 Select the tab Graph_for_R_vs_T and the simulation automatically plots the data. 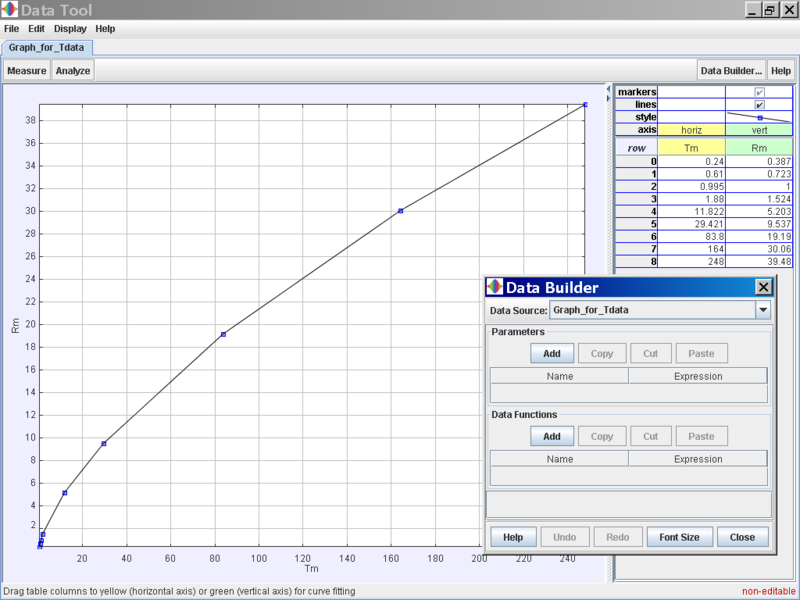 Click on the Data Analysis Tool to bring up the following pop up view for further trend fitting. 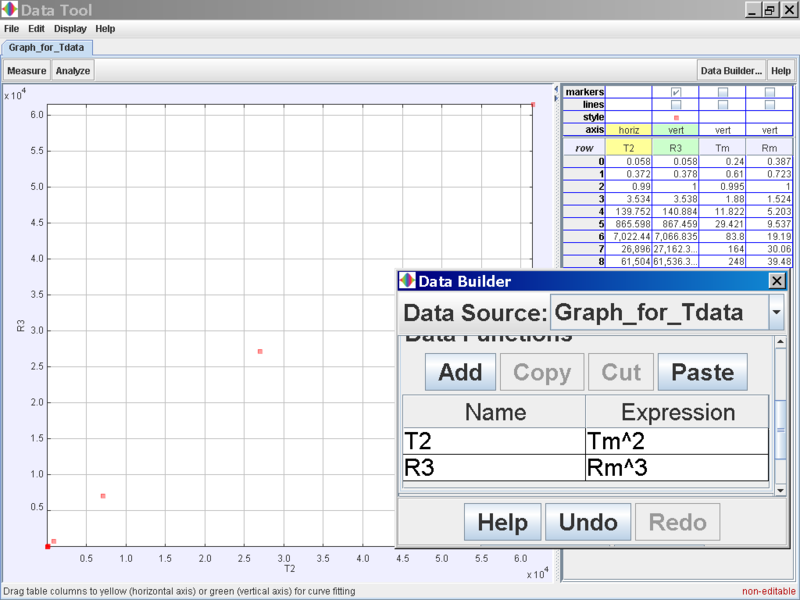 Click on the Data Function Add button to add your own functions such as T2 for Tmean2 and R3 for rmean3. It was stated that the gravitational force acting on a satellite in orbit is the centripetal force to keep it in circular motion. • The Kepler’s Third Law is only applicable to masses in circular orbit, whereby the gravitational force is the only force acting on it to act as its centripetal force. 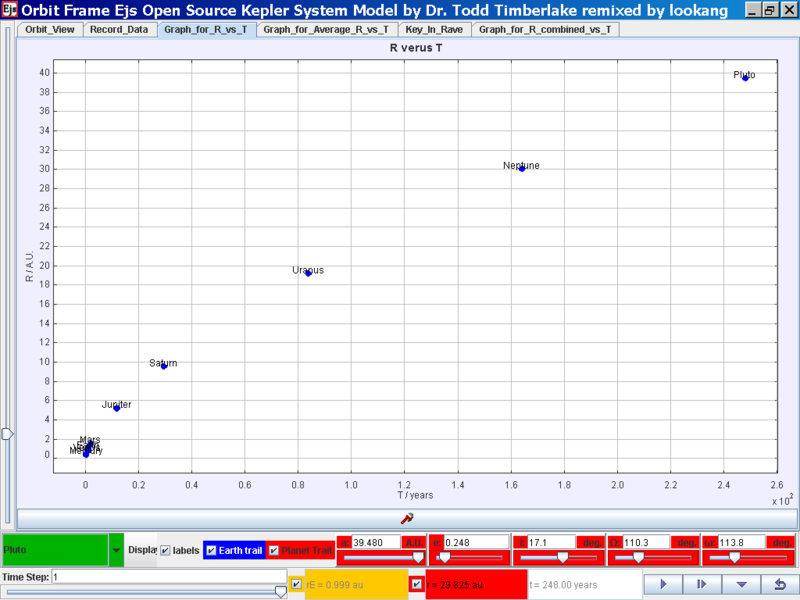 Complete ICT inquiry worksheet 2 to build your conceptual understanding on the Kepler’s Third Law. 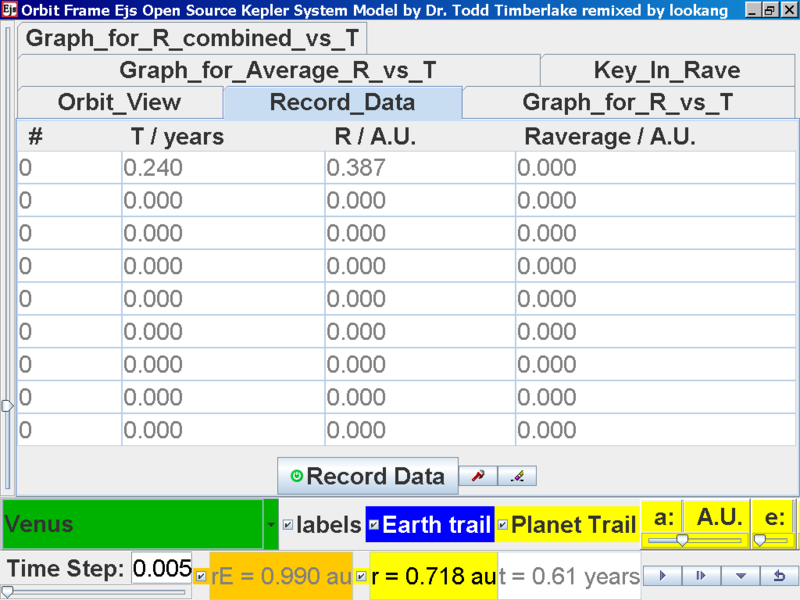 Click Pause the simulation when the planet Mercury is almost at the time of 1 complete cycle or period T.
again click on the next tab Record_Data and select Record_Data. Now the steps need to be repeated for the rest of the planets. Click back to the Orbit_View and to go to the next planet to collect data, select from the drop down menu again and select the next planet say Earth. 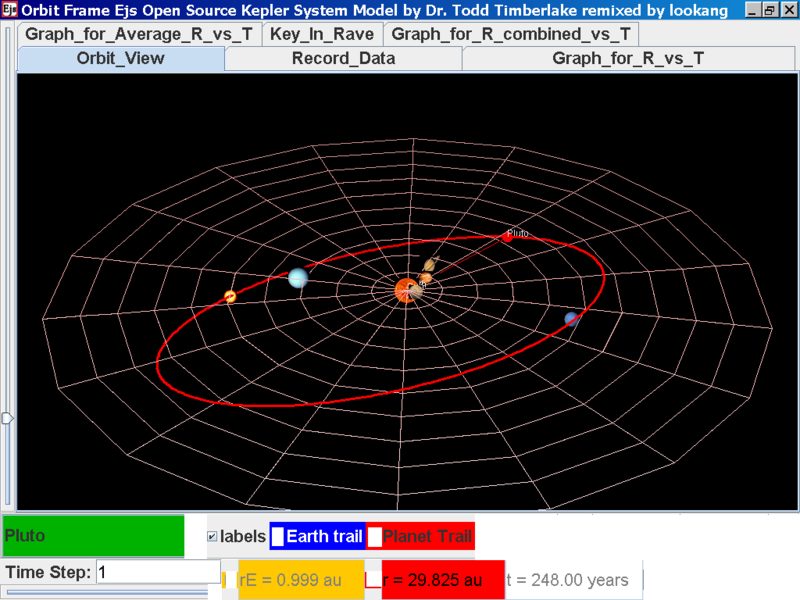 Play the simulation for one complete cycle. 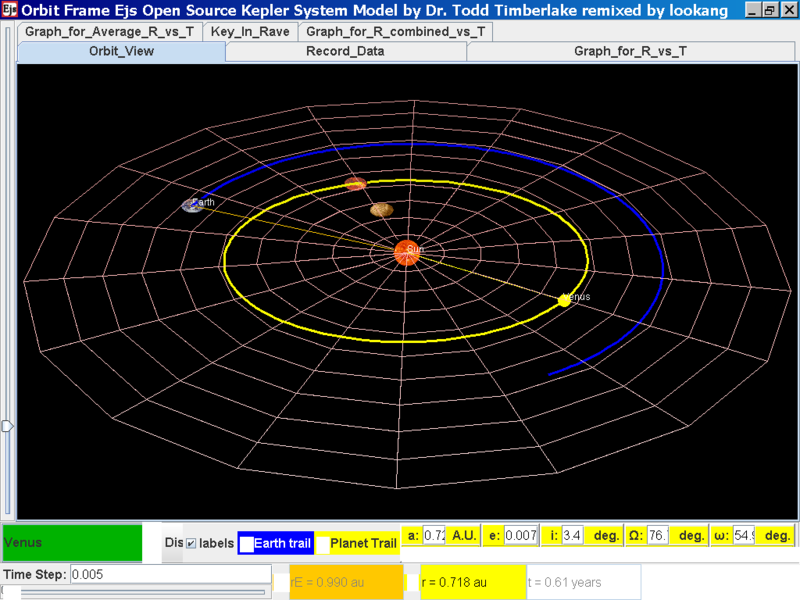 Click back to the Orbit_View and to go to the next planet to collect data, select from the drop down menu again and select the next planet say Jupiter. 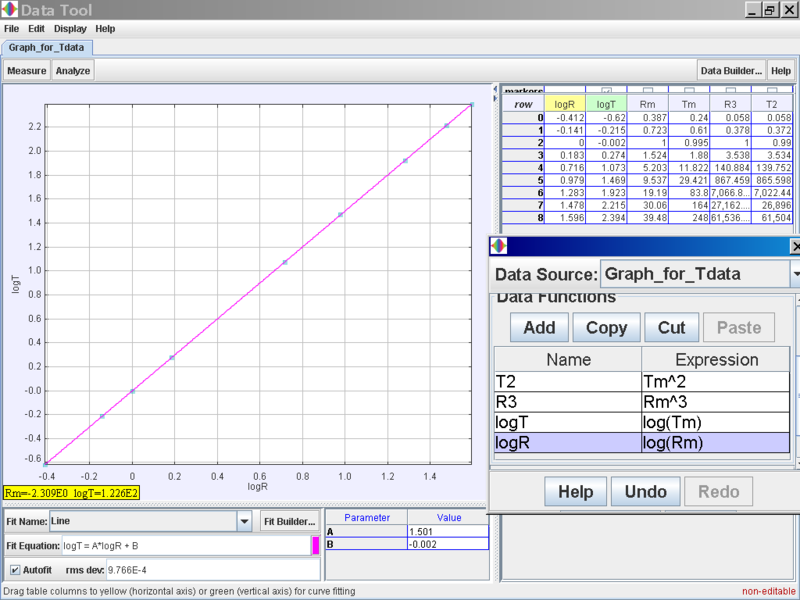 Play the simulation for one complete cycle and increase the time step = 0.08 years reduces the time needed to wait for one cycle. Notice all the data on the actual T /years recorded by you is slightly different and the mean radius of orbits R / A.U. astronomical units which 1 A.U. = mean distance of Earth to Sun.